The Solidarity Movement. 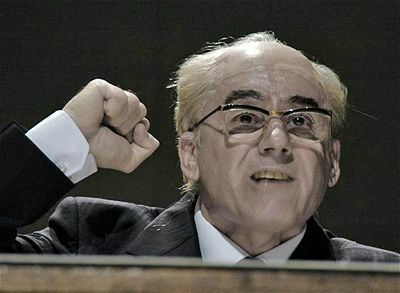 Perestroika and Glasnost. 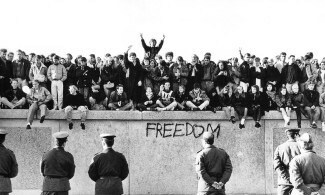 The fall of the Berlin Wall. All of these movements, policies, or events had a tremendous influence on the dissolution of communism in Eastern Europe and the end of the Cold War. 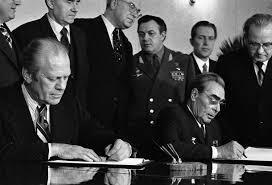 While not attributed the same attention and certainly less well known, many diplomats operating behind the Iron Curtain recognized that the Helsinki Final Act, signed August 1, 1975, was a crucial step towards the fall of communism. The final product of the Conference on Security and Co-Operation in Europe [CSCE] in 1975, the Helsinki Final Act produced a series of principles intended to guide relations between the thirty-five participating states. Of most crucial importance was the “Third Basket”, the portion of the agreement that dealt with human rights principles. Much to the surprise of the Soviet Union, many throughout the Warsaw Pact countries took these human rights provisions very seriously and ultimately resulted in the formation of dissident groups. Operating in Czechoslovakia, the most formidable of these groups was known as Charter 77. Despite government crackdowns, Charter 77 wielded a considerable amount of influence over the fall of the communist regime in Czechoslovakia. Jonathan G. Greenwald, who served as the Legal Advisor to the U.S. Mission in West Berlin from 1973 to 1977, discussed the background and consequences of the Helsinki Final Act in an interview with Raymond Ewing in March 1998. John M. Evans, a Consular Officer stationed in Prague, Czechoslovakia from 1975 to 1978, and Helen Weinland, a Poltiical Officer in the same location from 1982 to 1984, commented on the spread of the Charter 77 movement and their interactions with important Czech dissidents in interviews with Charles Stuart Kennedy in October and February 2009, respectively. 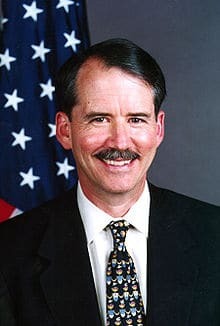 William P. Kiehl, a Public Affairs Officer in Prague, Czechoslovakia from 1982 to 1986, observed the instability of the Czechoslovak communist regime and the internalized disobedience of the Czech people in an interview with Charles Stuart Kennedy in September 2003. To read more about the Cold War, negotiations or northern Europe, please follow the links. About a year into the negotiation, which was already much longer than we had expected the negotiation to last, it was basically deadlocked. It was deadlocked over a number of points in which the Western Europeans were dug in and fighting very hard. For example, the language that was to be put into the Declaration of Principles — part of that language would speak about the inviolability of frontiers. This was a great interest of the Soviets. Basically they were interested in seeing a ratification of the new map of Europe that had occurred at the end of the Second World War. The Western Allies, particularly the Germans, were very interested in linking to the language about inviolability of frontiers, language about the possibility, however, that frontiers could be changed by peaceful consent, peaceful agreement, with the people of the states concerned. It couldn’t be changed by force, but it could be changed by open, free, diplomatic agreement or by self-determination of peoples. This had obvious relevance to the question of German reunification. And that, of course, is where Kissinger (seen right with USSR General Secretary Brezhnev and President Ford) was wrong, because unlike so many high-sounding proclamations that come out of international meetings, the Helsinki Final Act did have a substantial ongoing life and developed a momentum of its own and contributed, I think, enormously to what we eventually saw come to culmination in Eastern Europe in 1989. But the process, the growth of CSCE, the development of the concept of one in which the West was on the defensive to one in which the West was very much on the offensive was fascinatingly evident to those of us who were privileged to be in the negotiation in 1974 and 1975. We could even see that, primarily driven by the Western Europeans, the document that was being negotiated was turning into quite a remarkable thing that in particular advanced human rights to a degree of prominence that it had never had in a major negotiation before. Secondly it provided for what we called a follow-up mechanism. It wasn’t simply to be adopted and then to be signed and then to be self executed. 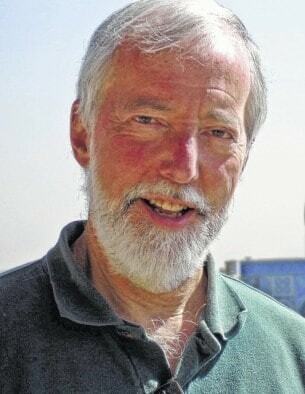 It was assumed that there would be problems, there would be questions, there would be issues that would still have to be dealt with, and that there would have to be an ongoing series of meetings at which one would take very careful stock and account of where things had gone well and where things had not. All of this was only dimly perceived on the ground at Geneva and probably even less well perceived in the capitals. Here I don’t mean only governments but by commentators, by observers, by journalists who were writing about what was going on in Europe at the time. I think the single most important telegram I ever had the opportunity to write came at the later stages of the negotiation in late May of 1975. At that time it had already been essentially decided there would be a Summit, there would be documents that would come out of Helsinki that were of sufficient importance that we would grant the Soviets their wish to Summit what was done. We were all pushing to wrap up all of the loose ends. It was really only about that time that CSCE was discovered or rediscovered in the American press. It had been a hidden negotiation for two years. There had been a fair amount of attention to it in Europe, but in the United States there had been preoccupation with a number of other things, not the least the end of the Vietnam War, the Watergate scandals and so forth, and no one really paid much attention. Suddenly it was realized that we were only a month or two away from a major Summit to which the President was committed to go and sign a document, and there was a lot of controversy about that document. There were a lot of people, particularly among ethnic American groups, who were concerned as always about another Yalta, that somehow what we were going to do in Helsinki in August of 1975 was ratify the division of Europe and Soviet hegemony over Eastern Europe. So we as a delegation were asked to provide an analysis of how serious were the provisions for human rights, because we had said that the human rights element document was quite remarkable and that this was a major Western success getting human rights into the document. Well, what did we mean? I had the chance to write that telegram, and I tried to explain that human rights had always been a part of international affairs. There had been human rights agreements back well before the First World War in agreements to end war or to ban war and so forth, but they had always been absolutist. They had stated a principle that was pure and noble and said this is the way it should be and that was all there was to it. There was no further process for seeing that the pledges were carried out, and the human rights statements generally stood on their own by themselves. Here, I argued, for the first time we were embedding human rights in a major international endeavor that was about many things, and human rights was one element of it. We were in effect saying that human rights wasn’t in a separate league; it was in the major league of international affairs in the 1970s, and we were saying that it wasn’t an absolute. There was the absolute statement in the Declaration of Principles that included a statement on human rights and fundamental freedoms. What was really unique about the Helsinki Final Act was not that declaration; it was what was called Basket Three, the element of the agreement that dealt with human contacts. There, human rights were not absolute at all. They weren’t perfect. They were commitments to do better in providing opportunities for family unification, for example, to do better and recognize that we’re not going to do perfectly. It’s the real world. It’s the world in which we know that states have various competing commitments and various competing interests. 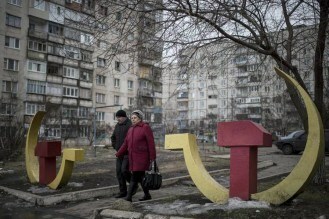 We weren’t expecting that the Soviet Union was going to change its fundamental nature overnight. But we were providing for a process of gradual change, linking it to the major elements on the international chessboard, and providing for a follow-up mechanism giving us the opportunity to hold to account the Soviets or anybody else who had failed to meet a given commitment. So I argued that we had a different concept and possibly a much more realistic concept, working toward gradual progress in these human matters that are so important to people. This was a major achievement that was worth the signature of the President. The test of whether we had negotiated well, the test of whether the President was right to go to Helsinki would be how well we kept the Soviets and the others to the commitments that were in that document. That was up to us over the next years to maintain. ….Well, if you recall, it really was only a very brief period of time after August of 1975 after the signing of the Helsinki Final Act before it was apparent that many people in Eastern Europe were taking this document very seriously. 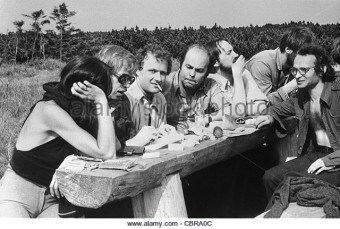 You had, perhaps most dramatically, the Charter 77 Group that was formed in Czechoslovakia (Charter 77 activists seen at right), and you had Helsinki monitoring groups that sprung up even in the Soviet Union. You had very quickly a rather repressive response from the Soviets and their allies to these groups. The governments had proclaimed the Helsinki Final Act as a great success of a peace policy, a policy that had achieved the recognition of the realities of Eastern Europe, that is the realities in effect of the division of Eastern Europe. They had carried out their first commitment, which was to publish this document in their countries. Noyas Deutschland was the official party organ that the GDR published and that Pravda published and Mabsabacha published, and it was widely distributed. So everyone in Eastern Europe and the Soviet Union who were at all interested knew what was there, knew what their government had committed themselves to, including all of those statements about improving human rights situation, increasing human contacts East and West, increasing freedom of expression, and so forth. The fact that domestic groups, homegrown groups, chose to see whether or not these promises were going to be taken seriously put tremendous pressure on the governments in Eastern Europe, and the first response was to basically crack down. This in turn created a lot of skepticism in the United States about what in fact we had achieved, whether it was a good document or not, whether we had simply naively accepted a cynical set of promises which would be cynically not implemented, and what had we gotten and what had the Soviets gotten out of this particular agreement. 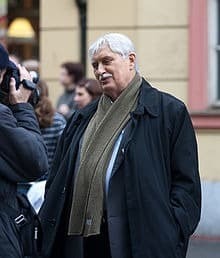 And during 1976 it was enacted into Czech law and a very interesting group started to compose what became later Charter 77, which was one of the milestone human rights documents of Eastern Europe in the 1970s and led directly to Gorbachev and the loosening up of the system, the whole communist system. But in those days it was just a twinkle in the eyes of these intellectuals. But I was fortunate enough to fall in with some young people who were very closely connected to this group, in particular I chanced to meet Marta Kubišová, who was a pop singer and had sung, I must say at the top of her lungs, with Dubček at her side, during the Prague Spring in 1968 and was very much connected with people close to Dubček and those who, after the Prague Spring, had fallen into disfavor with the hard line regime. So through Marta and her circle of friends I ran into a lot of these people and they were really composing this Charter 77, which was scheduled to be published on January 1, 1977. I would go to the Café Slavia, which is an old café on the banks of the Vltava River and they would be passing drafts around, drinking strong coffee and deciding how to word something or other. In the end we obtained the draft of Charter 77 on about December 10, 1976, and I’m pretty sure that I was the first person to render it into English, on my old Smith-Corona. 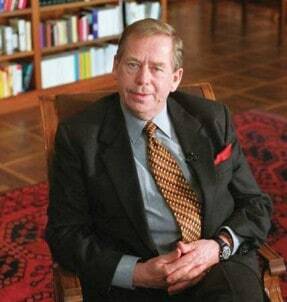 Charter 77 had three spokesmen; a former Czechoslovak…Dubček’s foreign minister, Jiri Hajek, by this time a retired professor, and Jan Patočka, who was a prominent intellectual, and Václav Havel (seen right.) They were the three spokesmen, so to speak, of Charter 77. But then they opened it to signature and little by little more and more people signed on. The activists had gone through Czech and Moravian and Slovak towns and had gotten people to sign and so the list of signatories by the end was very impressive and it made the regime, of course, extremely nervous. What the signers and spokesmen were demanding really was that the principles of the Helsinki Final Act, which were now part of Czechoslovak law, actually be taken seriously and put into practice. And this was absolutely subversive in a one-party state and I do believe that, contrary to the claims of some that it was Ronald Reagan who brought down the Soviet system, I think that the activities associated with Charter 77, not only in Czechoslovakia but in Poland and Hungary and various other countries of what was then the Eastern Bloc, the activities of those people, based on the principles of the Final Act, had more to do in breaking down the old structures, in opening up new possibilities, in providing for contacts with the West than almost any of the other things that were done. 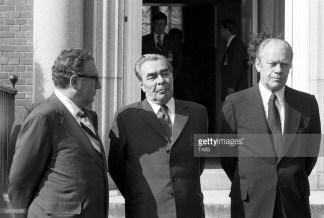 WEINLAND: [Czechoslovakia] had, of course, a very Soviet-tied communist government with one of the then aging and ultimately aged heads of state, Gustav Husak (seen left.) The government was secondary to the party structure. There was, by the time I arrived, a very recognizable dissident movement, an opposition movement called “Charter 77.” That had formed in the wake of the adoption of the Helsinki Final Act. I frankly think that the Soviets made one of their major, major mistakes in signing on to the Helsinki agreements. They thought the basket of human rights issues and free movements of peoples was a throw away to get the security arrangements they wanted. They published the Charter and, of course, the regime went absolutely crazy trying to collect all the copies of it they could. But of course, it was out in the open and then the government tried to force — this is all back in ’77, ’78 — they were trying to force people in their workplaces to sign all these counter petitions that these “Chartists” were rabble rousers and trouble makers. Charter 77 had an interesting structure. There were three different types of people who signed the charter. By the time I was there the total number of signatories I think was about 2,000. It never got to be much more than that. So there was a group who were old communists who were upset at how the Prague Spring had been suppressed in 1969. There were the “bourgeois” types who had never been communists and who had always been discriminated against in their education and in their work. 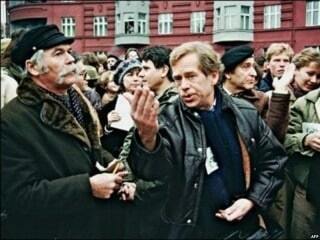 Havel was in that group. And then there were the religious people who wanted the right to practice their religion freely. Every year the Chartists chose spokespersons, three leaders of the Charter group, one from each of those different groups, with the idea that with a co-leadership of that kind, they could cover if somebody got picked up, there was always somebody else who was able to step in and continue organizing the constant stream of documents they were issuing and to support all the others. So when I got there, all that was functioning pretty well; Havel was still in prison and the government was pretty tightly controlling everything. ….One of my big jobs was the human rights report and the CSCE (Commission for Security and Cooperation in Europe) reports. Every six months all the western NATO members individually produced a report on the compliance of Czechoslovakia with all the Helsinki final agreements; we had to submit ours to Congress. The others presumably sent theirs to their governments. We would have a big meeting of all the people at my level who were preparing the reports in their respective embassies and share all the information we had about Czech compliance with the various baskets of the Helsinki final agreement. So we would go around the table and say things like some of our citizens applied to have their relatives come out and they weren’t permitted, and this guy we know is in jail, and that person couldn’t get a visa to come in to do business, and we’ve announced these military exercises. So we went over the whole range of baskets, whether our businessmen were getting access and all our individual issues with the Czech government. And then I also did the human rights report. I was also the person in that section in the embassy who lived off campus so to speak. We have a gorgeous embassy in Prague, an old palace, and we had a lot of apartments in that building. So both my boss and Nick Lang lived in the embassy itself and I lived out in town in an embassy-rented apartment. I was the one designated to entertain the dissidents. Even though they were all followed and the government knew what was going on in my house, the dissidents felt easier coming to a place that wasn’t quite so heavily surveilled as the embassy. That started somewhat later after I got there. They would get permission to emigrate. They would leave and a few more people would sign but it was always a fairly steady membership. I think that the authorities must have decided that some amount of contact with foreign diplomats was not going to be a serious disruption. I never talked about this with any of my colleagues in other embassies in any direct way, but I am pretty sure the Canadians, the Germans, the French were all in contact with dissidents in one way or another. Certainly, everybody in all these embassies, not everybody but for example, if you were in a writer or an artist in Czechoslovakia and you wanted to get your work out to the West, a lot of that went out through embassy contact. We were approached by Jiri Dienstbier. He said the Chartists would be interested in getting to know some American diplomats. so I was asked if I would host these people in my apartment. The VHS videotape system had just come in, so we set up a system by which we could get fairly recent movies. Somebody was always going out to Germany and we found a video store there that was willing to let us rent tapes for a week or two without penalty. Now I am going to say we were doing something illegal, but the tapes would arrive at the embassy and we would then spend all night, some of us, copying these tapes and then we would return them to West Germany. So we began to build up a fairly good library. So then we began then to invite these people and we would just say to Dienstbier and a couple of other people, we are going to show this movie on this night. Anyone who wants to come can come — because they were all self invited. There was a huge amount of paranoia, obviously, among all these people. They would eye someone and say, ‘Who is that person, I have never met him before,” and that kind of thing. But they were self-invited and they would come and watch the video. By this time Havel was out of prison, so he was very often there with his brother, Ivan, and they would be huddled off in the corner. I have this image of him sitting in the corner of my sofa in the living room, talking with other Charter leaders, and they would be drafting and correcting all these various Charter documents that they issued. That’s how we always got copies of the Charter documents. I would then take them back to the embassy; I translated them. We had a translator, but we didn’t give him things like that so I would translate them. That went on until I left and my successor took over. There were many, many thousands of people who chose to be more like the Good Soldier Schweik, the classic, Czech nonconformist….who would nod and do what he wanted anyway. That’s what most Czechs did, and most Czech intellectuals did that as well. They didn’t sell out. Some did, obviously, the Karl Gotts – you know, the rock star Karl Gott who was the classic sell-out, I guess, to the regime – but a lot of them didn’t…. [Good Soldier Schweik was] a Czech novel about WWI and the soldier basically plays dumb and does what he wants. That’s the way – that’s very much in the Czech character. They would rather switch than fight, you might say, but they keep their own integrity by saying, “Well, I know what I believe, but if he wants to hear something else I’ll tell him what he wants to hear.” That’s essentially what most people did. ….Almost everybody….whether they were a member of the Communist party, whether they were policemen, secret policemen, or university faculty, or people who worked in the government bureaucracy or the party bureaucracy, almost nobody – actually, I don’t think I met more than I could count on one hand people I thought were true believers in Communism. The people did one of two things. They either accommodated and became zealous in the sense that they could move up in the party and therefore enrich themselves and their lives, or they would go along with the prevailing Communists to the minimum extent in order to survive, but work against it privately. Almost everybody fell into one of those two categories. The vast majority, I would say, showed a public face of indifference or loyalty to the regime but hated it. Even those people who were gung ho, on the surface, Communists – I’m thinking of particularly some of the journalists who wrote really ridiculous articles in the newspapers every day and laughed about it and said, “Of course this is nonsense, but I have to do it in order to survive.” They hated it. They also hated themselves, I think, for having to do it. The whole system was a house of cards, when you really think about it. It was a hollow government, a hollow ideology. It’s surprising it lasted as long as it did, actually.